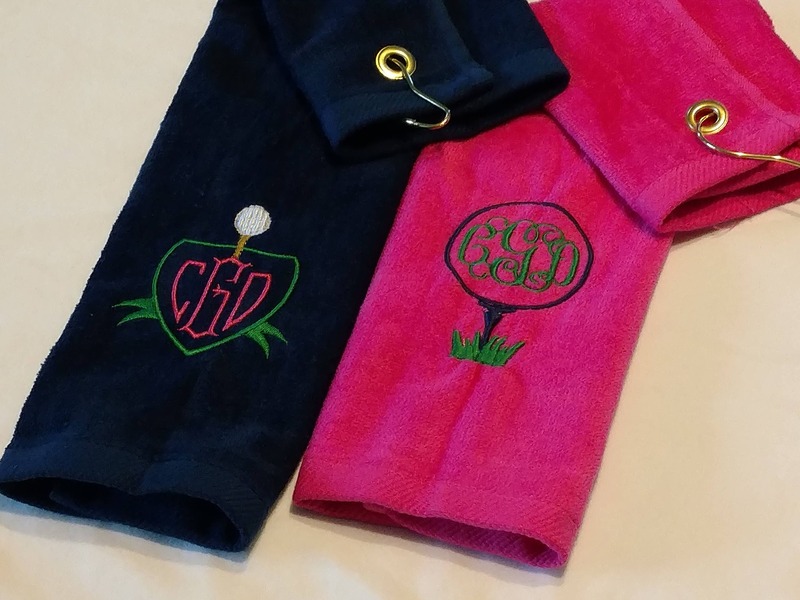 Golf GIFT SET ~ Velour Golf Towel w/ Grommet MONOGRAMMED Personalized / Mother Daughter Trophy Towels / Tournament League - You Customize! You pick towel colors and embroidery colors! If you would prefer a block circular 3 letter monogram inside golf ball on towel 2, just let me know! If you are interested in a large/multiple towel order, just send a message and I will be happy to give you a shipping quote or create a custom order/listing for you! Please Note: In Quantity Section . . .1 indicates one purchase of a towel set. Additional golf towels and personalized items are available. Please message me if you have a specific request! 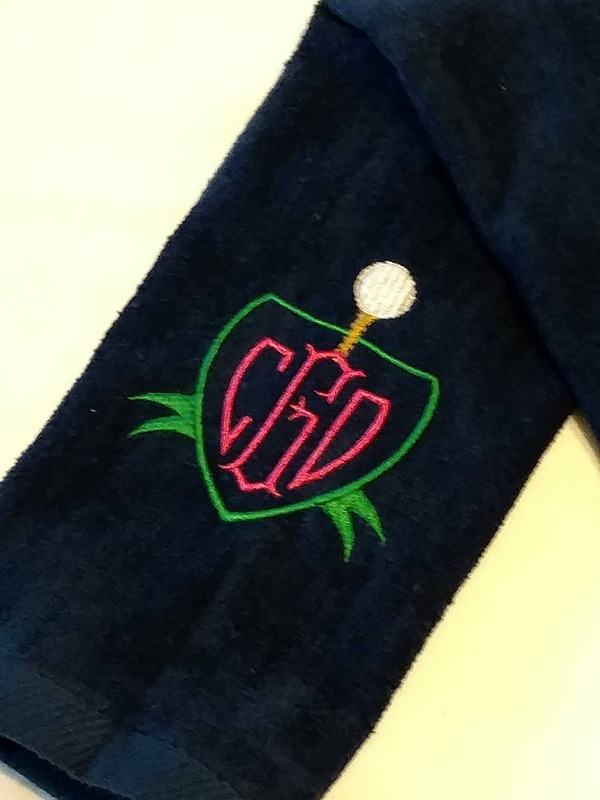 Absolutely LOVE these personalized golf towels! Fast shipping, excellent customer service, and great company to work with! The shop owner went above and beyond to make sure my order was perfect! She also was extremely responsive to questions and my shipping issue...which she resolved immediately. I can't say enough wonderful things...LOVE the towels! Just perfect! Thank you! 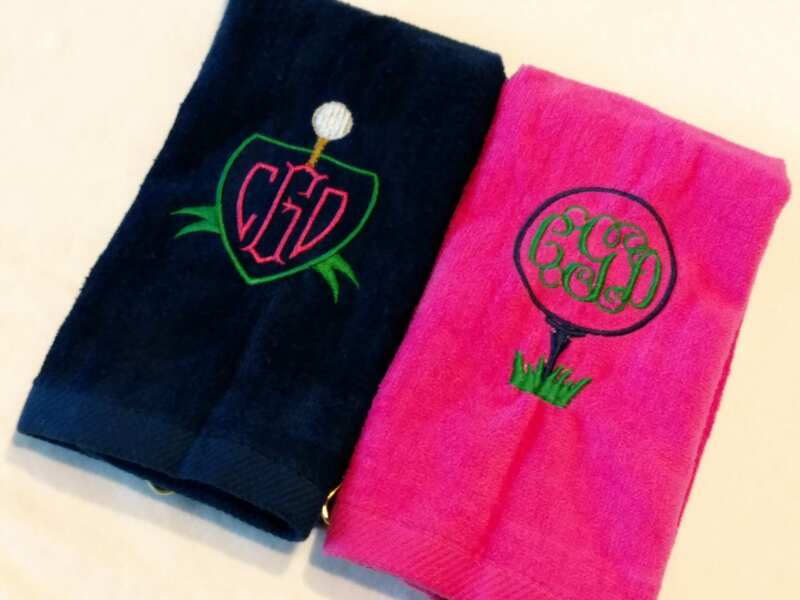 Great service, super cute golf towels for my girls!! Thank you!